The fair isle pendant square is up on foam tape and I added some Stickles to the smoke coming out of the chimney as well as the flowers in the flower boxes. 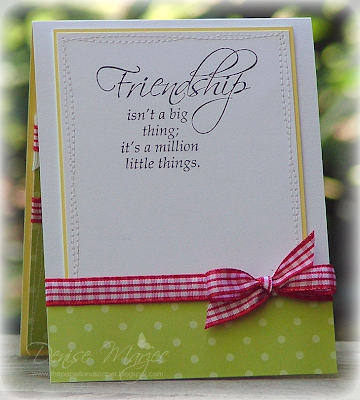 Thanks so much for stopping by and have an AWESOME weekend! 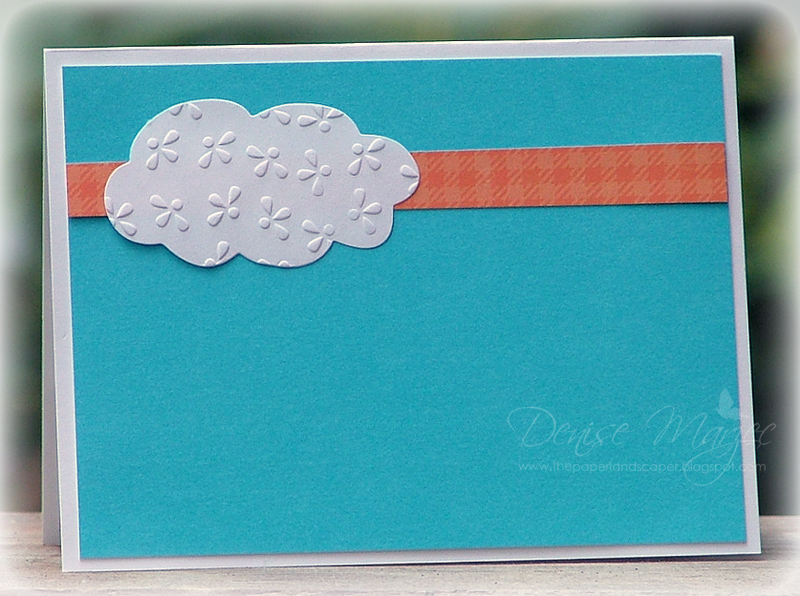 The large cream panel that's on the card base is up on foam tape and so are both clouds. 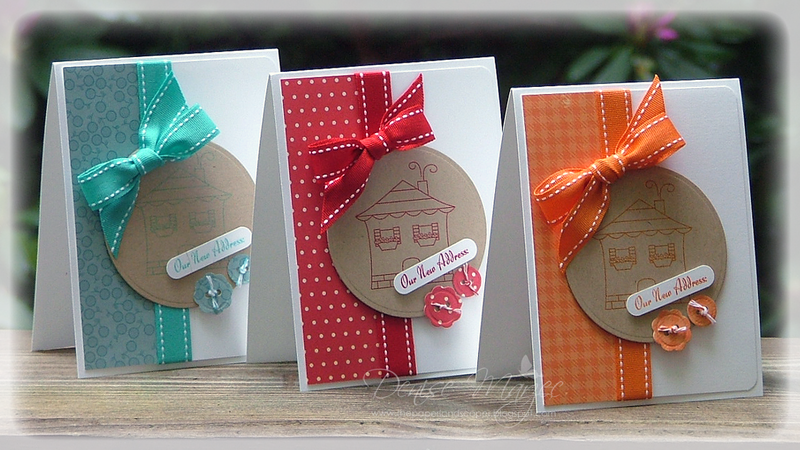 Stamps are from Our Craft Lounge. SSS109 Sketch with a Spin! 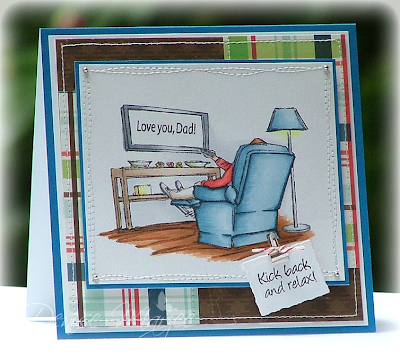 The "kick back and relax" sentiment and main image are up on foam tape. Thanks so much for stopping by and I hope you enjoy your day! I backed all the stickers with some cardstock, cut them out, and popped them up on foam tape. I doubled up the butterflies for extra dimension and stamped the "merci' sentiment on the tulip sticker. I also used a couple different Mix & Match cardstock colors: 02-002 Sticks & Stones and 12-002 Purple Mountain. Hey there! 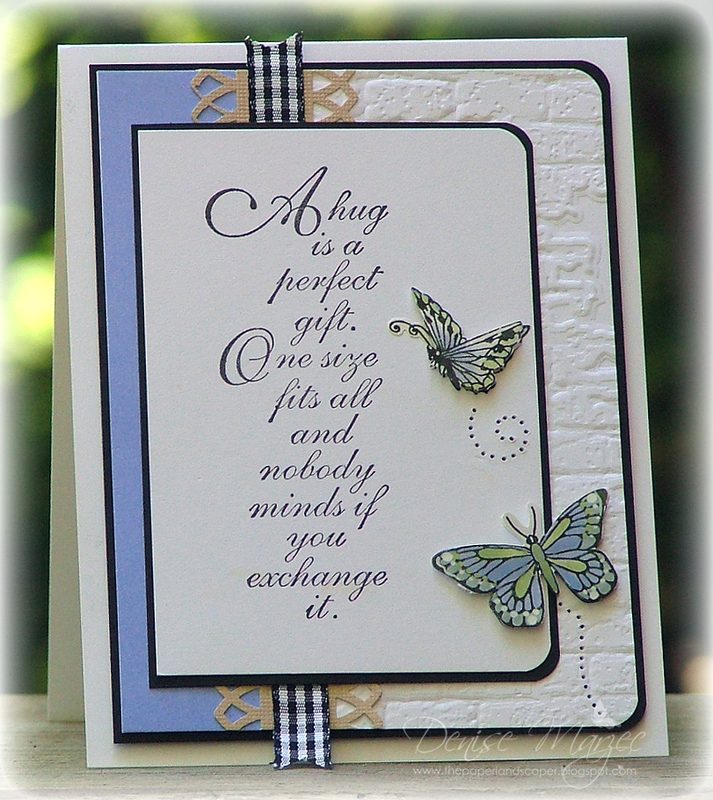 I colored up this cute Fly with Me image on Sunday during the race and paired it up with a sentiment from my 30-032 Enjoy Life transparent set. 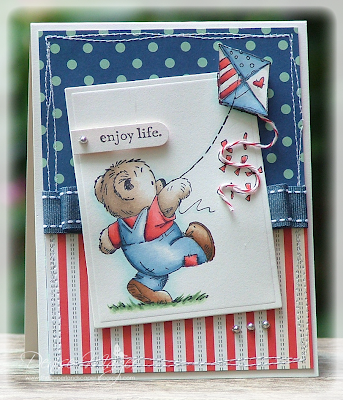 An extra kite was stamped, colored, cut out, and popped up on foam tape. The main image panel with the bear and the punched sentiment are also up on separate layers of foam tape. I know, I know....the sentiment looks a little low, doesn't it? Wanna know the truth?....I was covering up a small mark on the CS....just keepin' it real, lol! Be sure to head over to the Penny Black Blog today to see all the gorgeous envelopes the girls on the DT have come up with. TONS of beautiful inspiration over there, let me tell ya! 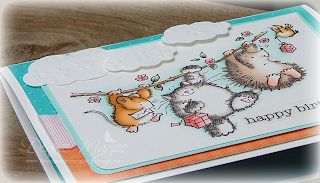 Since it's Monday, it's also time for our weekly video tutorial by Jill! 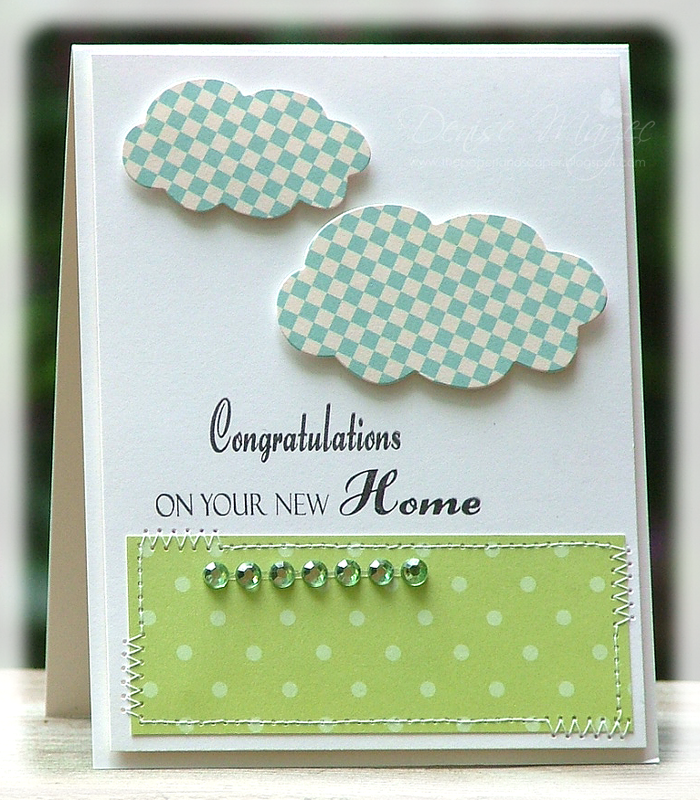 I used OCL's set called New Digs, popped the sentiments and kraft circles up on foam tape, and added some paper buttons with twine. DH is making jambalaya today and we're just going to hang out here at home in our jammies and watch the race. We've been on the go so much lately, it's going to be nice to just have some "down time" for a change. Ahhhhh! Hi all! Here's my Sweet Stop Sketch card. 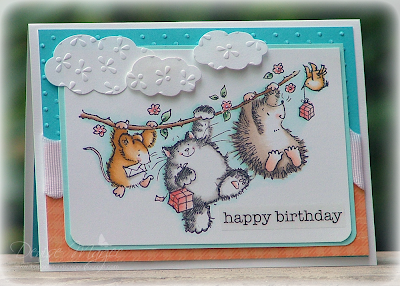 Sorry for the delay.....after all the Blogger issues, I forgot that I needed to re-write and schedule my post again. Yikes! 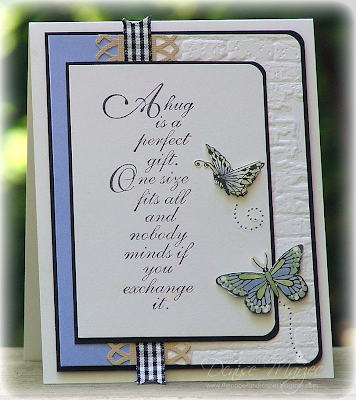 For today's card I paired up this great sentiment stamp with some butterfly stickers and Mix & Match CS...ALL from Penny Black. Product links are in the supply list at the end of my post. I doubled up the butterflies with the second ones being popped up on foam tape. The large white panel that sits on the card base is also up on foam tape. 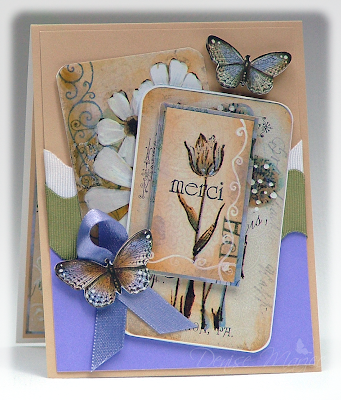 The butterfly trails were pierced with an Ornare piercing template (an old discontinued one). Thanks so much for stopping by and I hope you have a great Saturday! 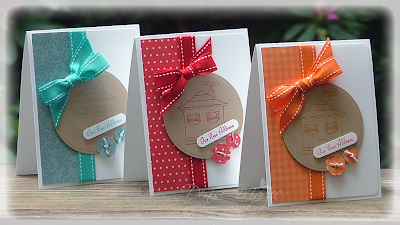 These were made for the National Scrapbooking Day event on the Penny Black Blog. 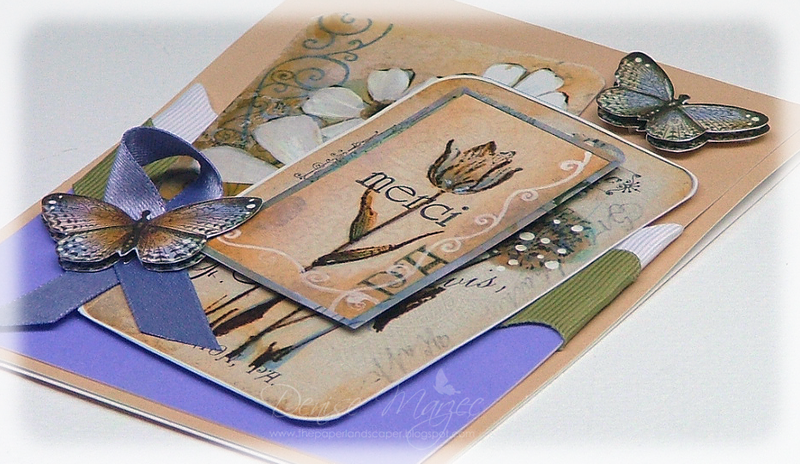 We were asked to make a monochromatic project featuring brand new stamps from the Touch of Whimsy catalog. I used the new transparent Touch of Whimsy stamp set, paired it up with my Summer Sun Mix & Match CS, and included a sentiment from Enjoy Life. 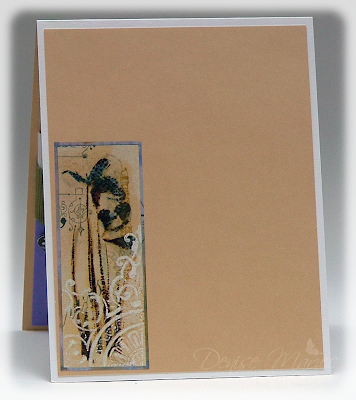 All images were stamped in black craft ink and heat embossed with clear embossing powder. The notecards are 4" square. Hi all! Today I'm hopping along in the TSG Mother of All Blog Hops. 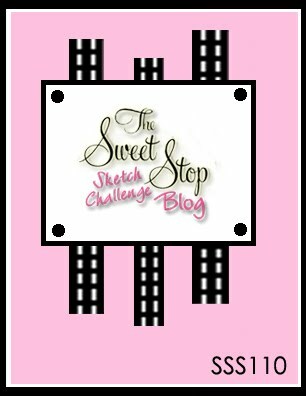 There are some REALLY cool prizes to win so be sure to check out all the details HERE on the TSG Blog. To start at the beginning of the hop, head over to Jessica Knutsen's blog. If you've come here from Stephanie Muzzulin's blog, you're right on track with the hop. Next up after me is Jackie Rakoski! 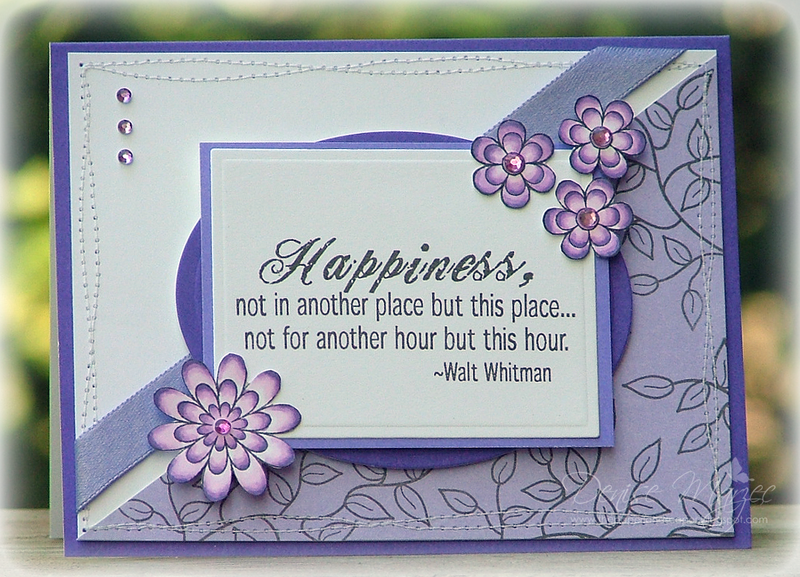 The stamp set I used is Flowers of Happiness (one of my all-time favorite TSG sets!). The layout is today's Sweet Stop Sketch #107. 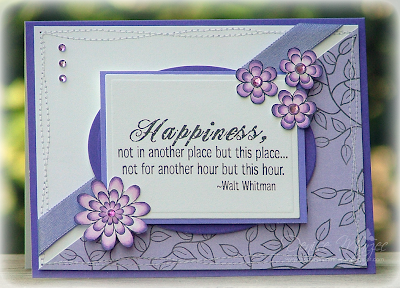 The matted sentiment panel, dark purple oval, and flowers are all up on foam tape. Clear rhinestones were colored with a V15 Copic marker. 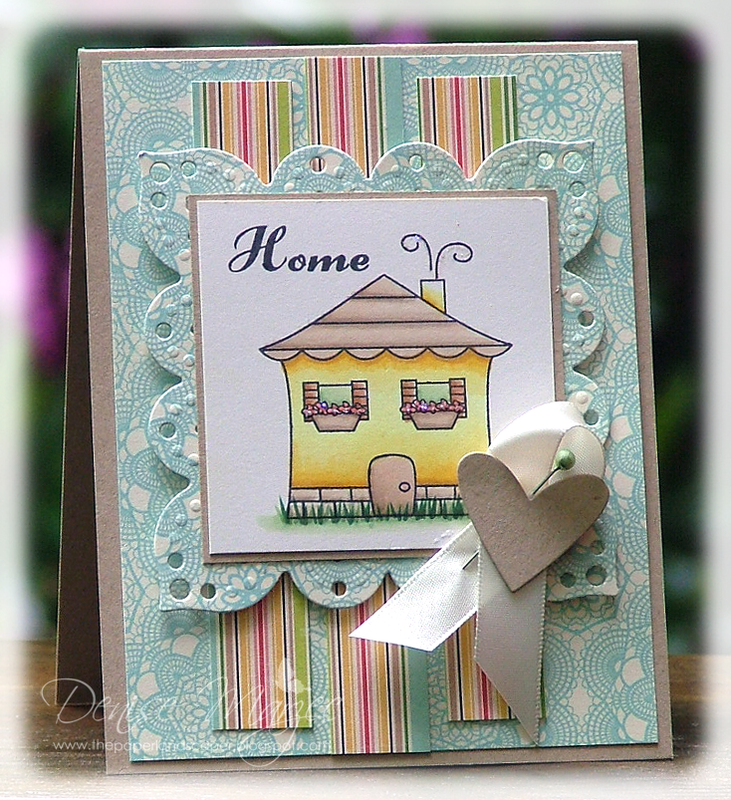 Okay, now head on over to Jackie Rakoski's blog. She's up next in the hop today. 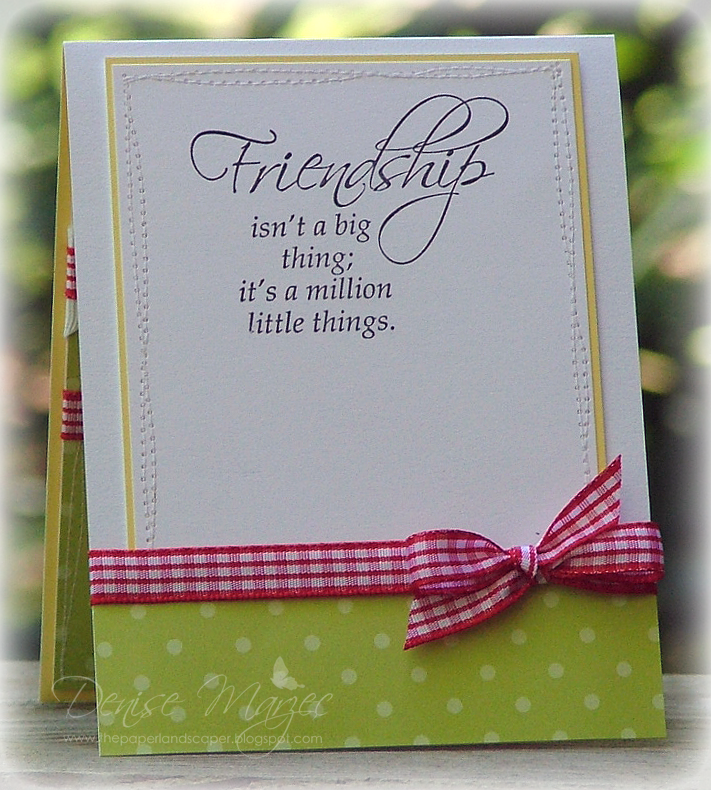 Wishing you a WONDERFUL Mother's Day Weekend!! Hey all! How's your day going so far? I had a bit of a crappy morning (just a work thing...pfffth! ), but the sun is shining and I hope that as the day goes on, it gets better. I made this card early this morning before I left for work. 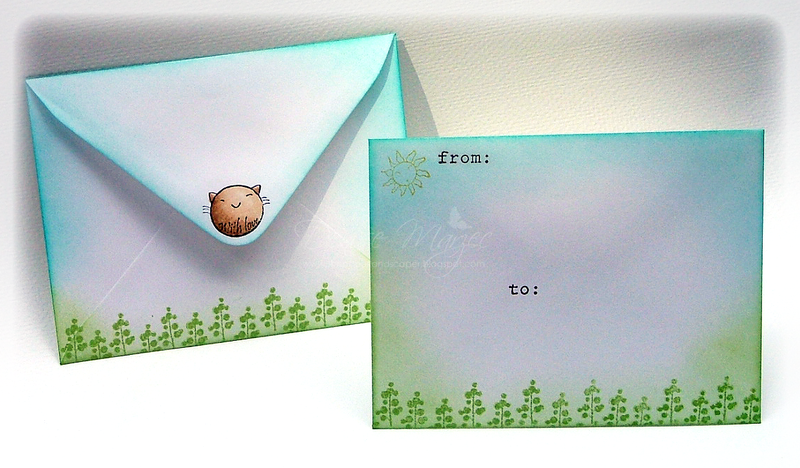 The stamps are brand new from the Penny Black Touch of Whimsy Catalog (4150K Magical Mimi and 4176H Friendship). The main panel and butterfly are both up on foam tape and I added some stardust Stickles to the mushrooms, flowers, flight trails, and dragonfly wings. Okay, so back to work I go. Have a good one! Hey all and happy Monday! 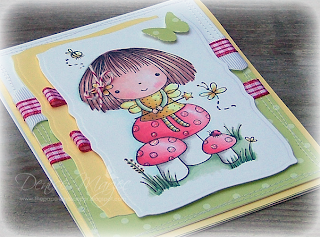 I have a card to share with you today using a brand new stamp from Penny Black's Touch of Whimsy Catalog. The stamp is called Perils of Love and I paired it up with some Mix & Match CS and embossed white background paper, all from Penny Black. 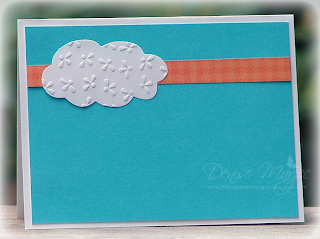 The sentiment is a sticker from SRM and the two small clouds are up on foam tape. Stardust Stickles were added to the flowers, leaves, and gifts. Thanks so much for visiting me today. I love when you do!